5 75 Be the first to write a review! Shower Wow is the LED rainbow shower head that requires no batteries! 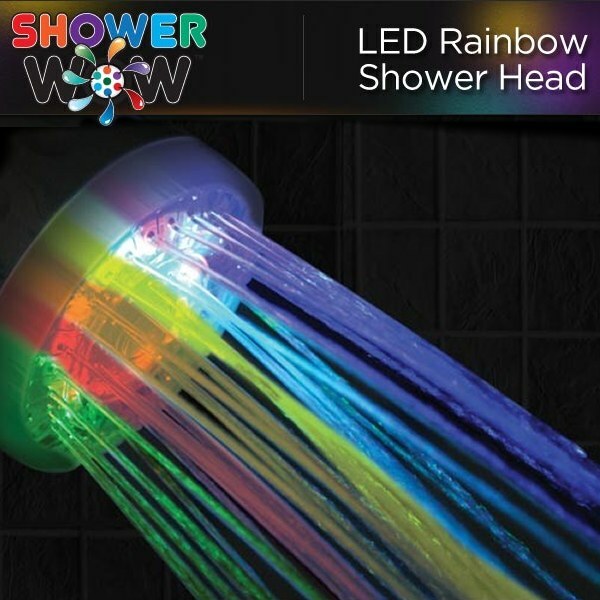 Shower Wow is the LED rainbow shower head. Quick & easy to install and requires no hardware or batteries! Shower Wow is powered by water pressure, and transitions between vibrant colors - Orange, Red, Purple, Blue, Light Blue, Teal, Green. It makes taking a shower so much fun!